Two Assistant Chief Executive Officers of the Land Transport Authority (L.T.A.) have been asked to resign from their positions. This is in connection to the investigation on allegations that information was altered on the L.T.A. system to allow vehicles (taxis) belonging to them to be registered. This was confirmed by the Minister of Works, Transport and Infrastructure, Papali’i Niko Lee Hang, yesterday. L.T.A. is one of Papali’’i’s portfolios. The L.T.A. Assistant C.E.O.s, Anoanoai Pepe Lafai and Mata'afa Sepelini Poufa, are placed under suspension. The Minister said he’s currently waiting for a report from the Board of Directors of the L.T.A. That is Friday this week. Asked for a copy of the letter, the Minister said: “I’m sorry I will not give you a copy of that letter. The Minister reminded that these are just allegations. “I have already asked the L.T.A. to submit a written report on this matter. “The investigation is near completion and the Board may find some evidence implicating them because the taxis belong to them. “We are also mindful that the A.C.E.O don’t have access to the system,” said the Minister. He assured that once the report is submitted, he will make the right decision. The Samoa Observer questioned whether the matter will be referred to the Ministry of Police for a criminal investigation. The Minister said no. If the A.C.E.Os resign, that would be the end of it. “It’s up to them what they do. 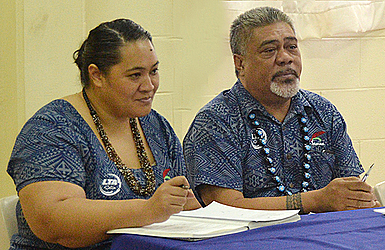 They have been asked to resign and I think that is the end of it,” said Papali’i. 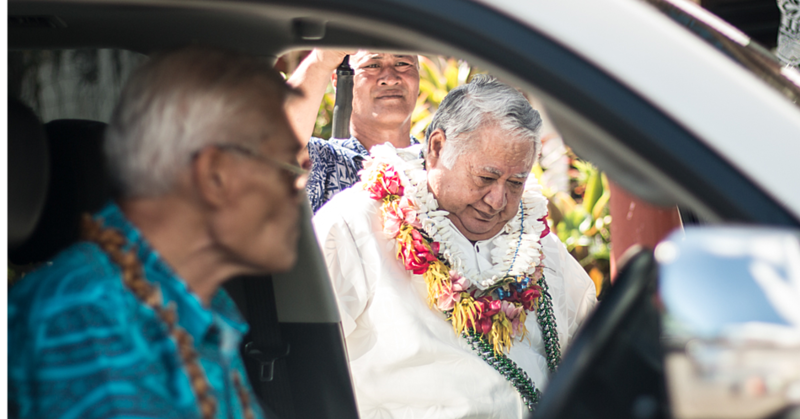 Contacted for a comment, one of the A.C.E.Os involved, Mata’afa, denied the allegations. He confirmed the Board had asked him to resign. “But I will not resign. I am fighting this because the whole thing is unfairly conducted,” he said. “Right from the start, I was not officially informed about what is going on, even a face-to-face with the C.E.O. regarding these allegations. Mata’afa made it clear that he’s not resigning from his post. “I have been trying to get an appointment to see the Minister and I speak for me, I know that those cars do not belong to me,” he said. 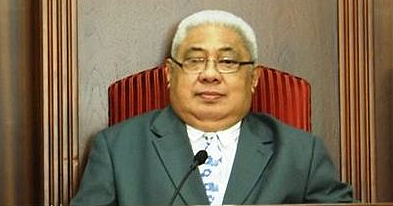 Mata’afa confirmed to the Samoa Observer that he does not have the authority to access the system in Upolu. According to the suspended A.C.E.O., this has ruined his reputation. “I have been working all my life for the Government and I have been an honest employee and then such allegations surface. It’s very sad,” said Mata’afa. Attempts to get a comment from Anoanoai were unsuccessful. 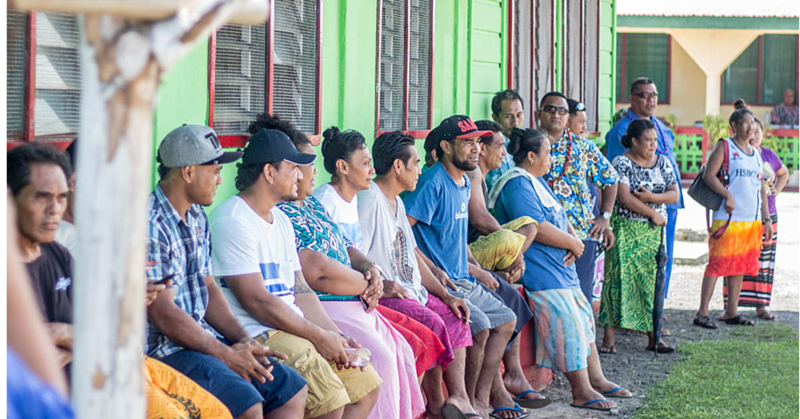 Earlier this month, Chief Executive Officer of L.T.A., Ta'atialeoitiiti Agnes Tutuvanu-Schwalger, confirmed these allegations have already been made known to the L.T.A. and an investigation was underway. As reported earlier, documents leaked to the Samoa Observer show that the year of manufacture for the vehicles were changed from 2000 to 2005 so they could be registered on the L.T.A’s Road Transport Administration System (R.T.A.S.). One of the vehicles involved, according to documents obtained by the Sunday Samoan, is a Toyota Allion. On the P.S.V. vehicle inspection, the car is a 2003 model. But according to the R.T.A.S, it’s been amended to 2006. Both documents point to the same V.I.N. number.